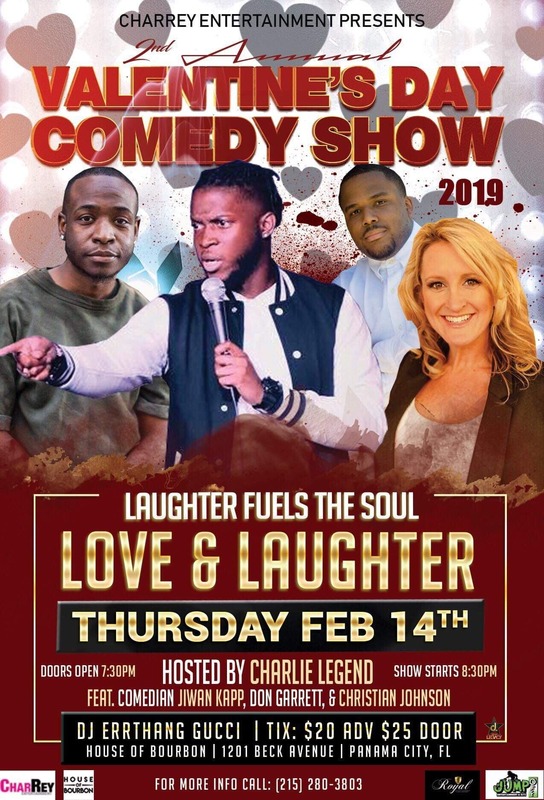 Join us for our 2nd Annual Valentine’s Day Comedy Show! We bring nothing but the funniest comedians to town for your enjoyment. Grab that special someone, friend or family member and join us for a nice, romantic evening with tons of laughter. Food and drinks will be served at an additional cost. Limited seating. Reserved seating available.